The Vigil service began at 20:00 on Saturday and ended on Sunday morning. 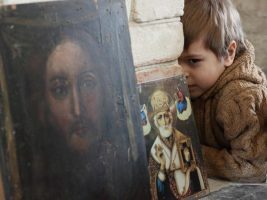 After the Divine Liturgy, the supplicatory Canon to the Mother of God was read and a Cross procession with the “Kykkos” wonder-working Icon of the All-Holy Theotokos took place, reports Agionoros.ru. 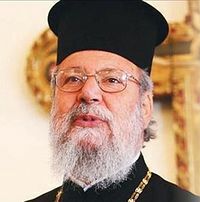 After the prayer for salvation of Cyprus, his Grace Archbishop Chrysostomos gave a sermon in which he stressed that those who encroached on economic and national sovereignty of Cyprus would collapse. 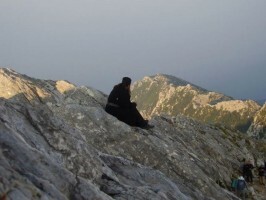 According to Archbishop Chrysostomos, “The Church of Cyprus will be together with people during these difficult hours” and will do its best so that no one who has lost his or her job might be hungry or in need. “Europeans are mistaken if they think they can take property from ordinary people for nothing,” said Archbishop.